Looking for a healthier option to ice cream? Yogurt bark is a frozen snack packed with sweet fruit that takes minutes to make and keeps in the freezer. I love having fun in the kitchen and this is definitely one you can get the kiddos involved! It starts with the same base-any type of yogurt (I make this with coconut milk yogurt for my 10 month old), maple syrup/honey/agave for a little sweetness, vanilla extract and any mix-ins you want! Use what you already have to keep it easy. I love to use chopped fruit, fruit purees, dried fruit, nuts, spreads like peanut butter or chocolate hazelnut spread. Anything you would put in a smoothie or top a smoothie bowl is fair game. I tend to over buy produce so this is what I do when I have too many strawberries. I ether make yogurt bark or homemade jam. 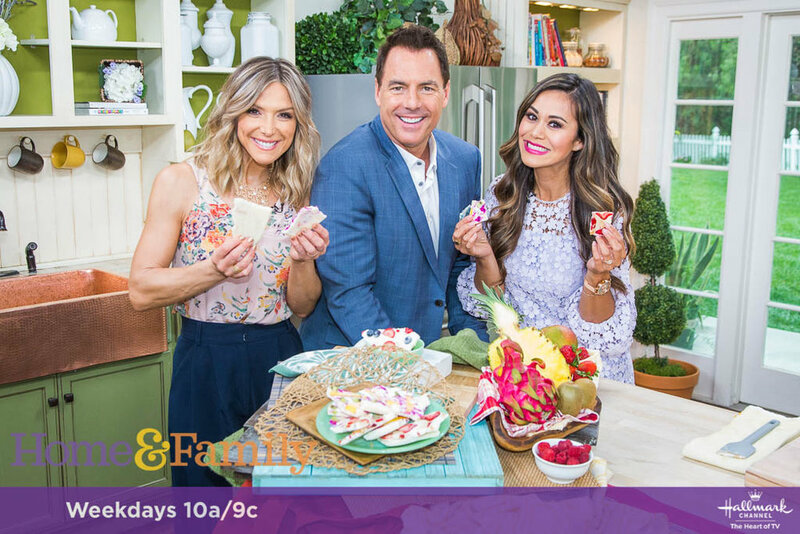 So when Home & Family invited me on the show to make a treat, I decided to share two of my favorite flavors. The tropical bark is loaded with mango, kiwi, pineapple and dragonfruit. 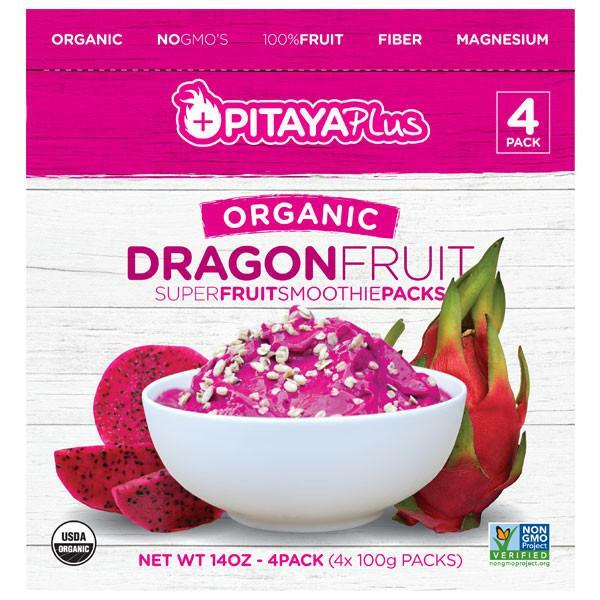 If you've never seen dragonfruit in your market, ask the produce manager to get you some. Otherwise usually you can find it in speciality grocery stores or in the freezer section in frozen puree packs. The pb & j has that classic peanut butter and jelly flavor and is super creamy and addicting. If you prefer almond butter, that works too. I also love to sneak n crushed nuts or even slices of fruit. For this one, I used strawberry jam and added sliced strawberries. Onto a baking sheet lined with parchment paper, spread your yogurt mixture about 1/4" thick. Sprinkle toppings evenly. Freeze overnight and then break into pieces and enjoy. Onto a baking sheet lined with parchment paper, spread your yogurt about 1/4" thick. Top with peanut butter, using a knife to swirl it through. Do the same with the strawberry jam. Sprinkle toppings evenly. Freeze overnight and then break into pieces and enjoy.